Delivering impact absorption and protection athletes need from bruises, burns or other common impact injuries. 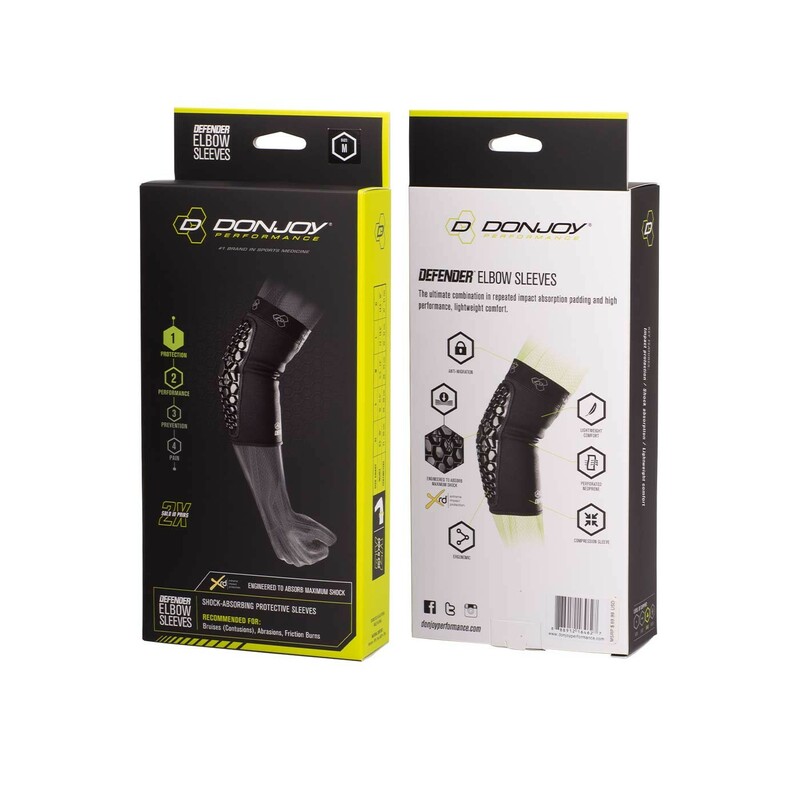 Our DonJoy Performance Defender Elbow Pads are protective elbow pads engineered to absorb shock and protect athletes from bruises, abrasions, burns or other common impact injuries. Lightweight, the hex-contouring pad design provides comfort, breathability and compression that athletes need during contact or non-contact sports. 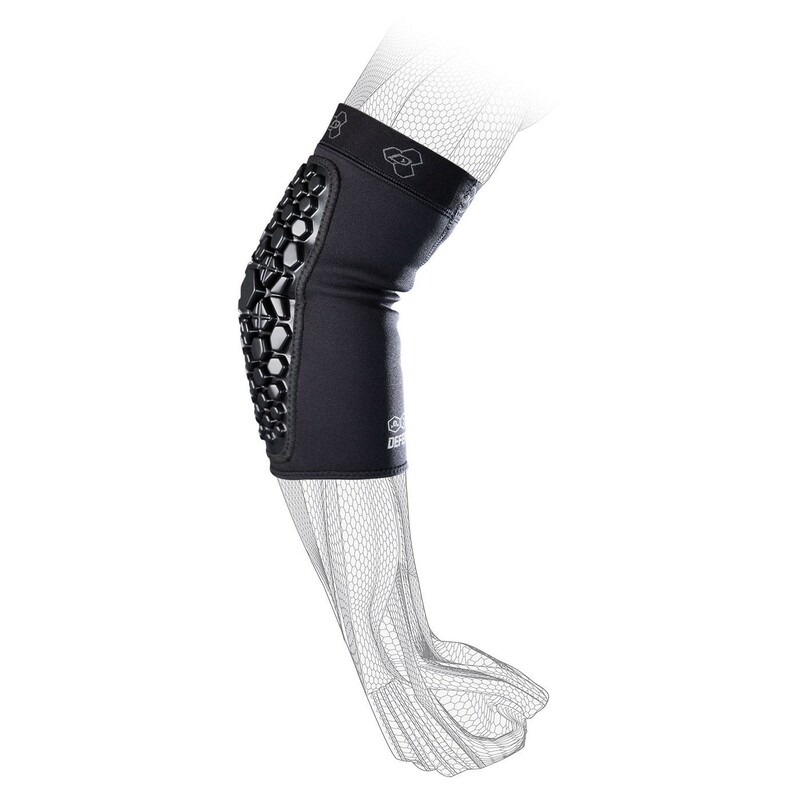 Ideal for basketball, volleyball, football, lacrosse and more. Sold in pairs. I recently wore the Defender Elbow Pads while participating in the Spartan Sprint. The sleeve fit comfortably snug and I was impressed that they held in place for the entire duration of the race without having to adjust them, even after getting wet. The padding noticeably effective when I made any contact with any obstacles and it was a ideal for when I was crawling on my knees and elbows under barbed wire up a rocky hill. After running that race I think the Defender Knees would have come in handy too. Thanks for getting me to the finish line!